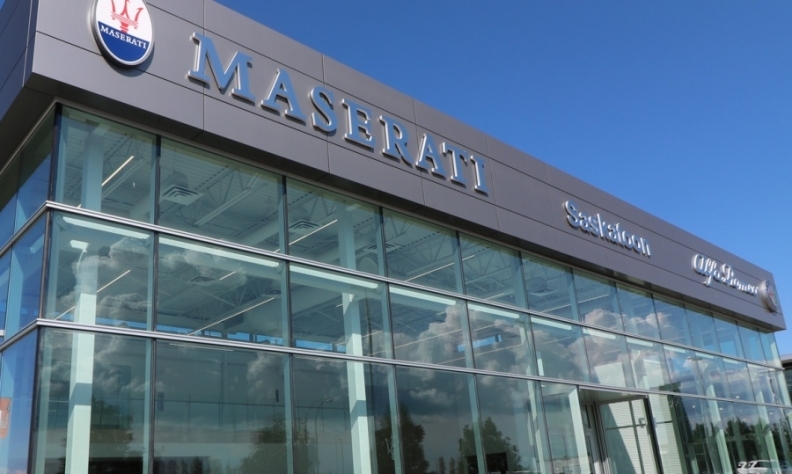 Maserati Canada has opened its first dealership in Saskatchewan, citing Canada’s increasing demand for luxury vehicles. The Wyant Group owns the 1,092-square-metre Maserati of Saskatoon. The auto dealership group now owns 20 stores, including North American and luxury brands, in three provinces. "We've got quite a base of automotive enthusiasts in Saskatoon with a taste for luxury, creating a great opportunity to expand the brand in Canada," Wyant Group owner Vaughn Wyant said in a statement. Maserati of Saskatoon is the ninth Maserati dealership in Canada. The new Maserati dealership is the second from the Italian brand to open in Canada this year. Maserati of London in Ontario earlier this year. Total Maserati sales in Canada are up to 901 vehicles through the first eight months of the year. That’s an increase of 170 per cent over the same time last year, when the automaker sold 333 vehicles. In fact, Canadian sales of every luxury brand, except Lincoln, Acura and Bentley, are up through the first eight months of 2017, according to the Automotive News Data Center in Detroit.